Although public opinion as a whole tends to ignore it, in recent years the geopolitical risk connected to the Balkan area has started to grow exponentially again. The epicenter of this new wave of tensions is, once again, the territory of Kosovo. In addition to the never-ending rancor inherited from decades of Kosovar permanence in the Yugoslav federation and to the deaths caused by the 1999 Kosovo War, other sources of tension have subsequently accumulated. The last of these was the decision, approved in December 2018 by the National Assembly (the local equivalent of our Parliament), to transform the so-called "Kosovo Security Forces" into a full-fledged army with command structures and control and heavy military arsenals adequate to the task of protecting the integrity of the "country". Various reasons, both internal and external, have prompted the leadership of the Balkan entity to make a move of this magnitude, despite the further tightening of relations with Serbia that this entailed. On the one hand, the appeal to nationalist rhetoric serves the Kosovar leaders to divert the attention of the inhabitants from the catastrophic internal economic situation (Kosovo is the third poorest country in Europe for per capita GDP with purchasing power parity) , exceeded only by Ukraine and Moldova). 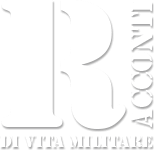 On the other hand, diplomatic-military activism serves to strengthen collaboration with the United States of America and a part of its Western allies to guarantee the external security of an area supported by an unstable institutional architecture and whose posture international is beginning to be seriously questioned. In fact, after 116 on 193 UN members recognized Kosovo as a sovereign state, starting from the 2017 the diplomatic counter-offensive of Belgrade and Moscow managed to obtain the withdrawal of recognition from 14 states, with other 2 heavily in the balance. Not only, within the European Union, which is one of the main sponsors of the small Balkan territory, five members (Spain, Greece, Cyprus, Romania and Slovakia) stubbornly refused to recognize Pristina. That the international wind is slowly changing has not escaped the Kosovar leaders, who have decided to play ahead by retracing the path already traced by the 17 February 2008 when with the "Unilateral Declaration of Independence", in disregard of the UN resolution 1244 , they decided to proclaim their "self-determination". To this end, they announced the plan to transform and expand the "Kosovo Security Forces" into a full-fledged army that should have about 10.000 men between assets and reservists. The move recorded immediate opposition from both Belgrade and Moscow, who pointed the finger at this further destabilizing move. 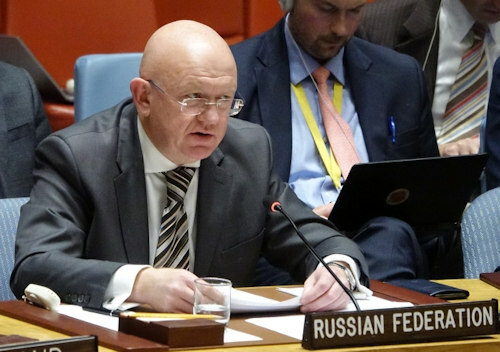 The heaviest comment, from this point of view, was that of Vassily Nabenzya (photo), permanent representative of Russia at the United Nations, who after having warned that the establishment of full-fledged armed forces is in open contrast with the rules of the Kosovan constitution itself, he then stated that "there is no guarantee that this Kosovo army will not be used to carry out the definitive ethnic cleansing of the Serbs remaining in that territory". In fact, such concerns are by no means to be underestimated given that in the period immediately following the 1999 war, and again in the 2000 and 2004, the Serbs and other minorities of Kosovo were subjected to real pogroms organized from above. The risk of this army being used by the leaders of Pristina to carry out the work of "purification" of Kosovo is too great to be ignored.